The Summer Palace in the Lahore Fort was built during the seventeenth century as a retreat from summer heat for the Mughal royalty. Built deep under the Fort platform, the cavernous space has cool and dark interiors, mysterious channels for water circulation, and numerous hidden and dark passageways and chambers. Upon entry, one encounters a space with massive walls, in which everyday temporality is suspended and the outside world is placed at sensory removal. 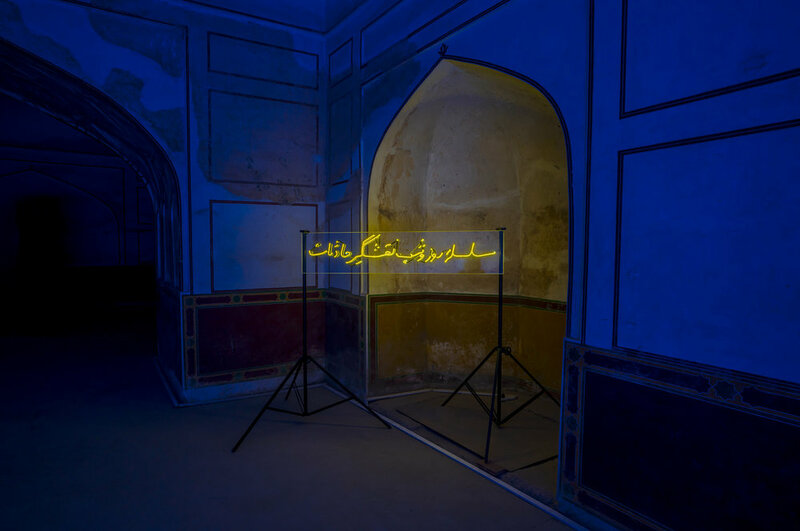 Roz o shab (night and day) is a site-specific neon installation that responds to historical references and sensory encounters of this arresting space. 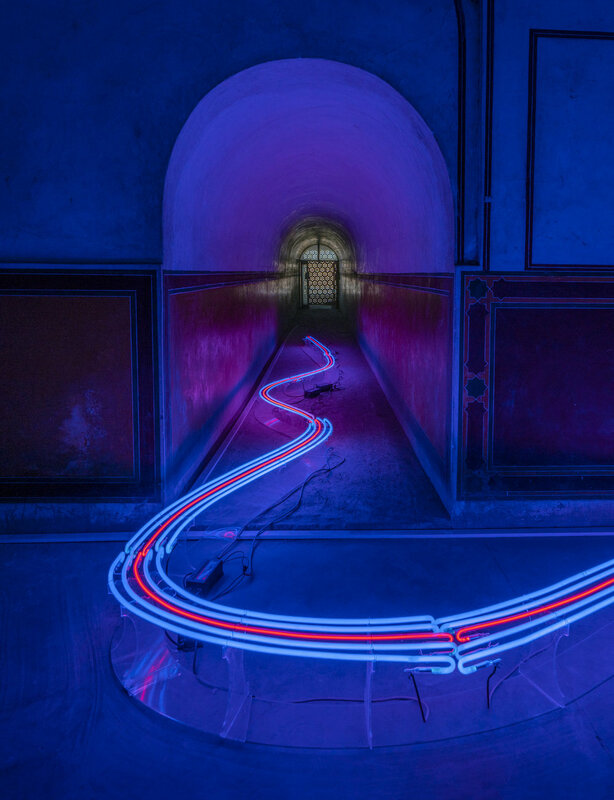 The entangled “river” of blue neon is threaded through with red, rewarding the eye tracing the maze with the one successful route bridging the everyday outside and the liminal inside. 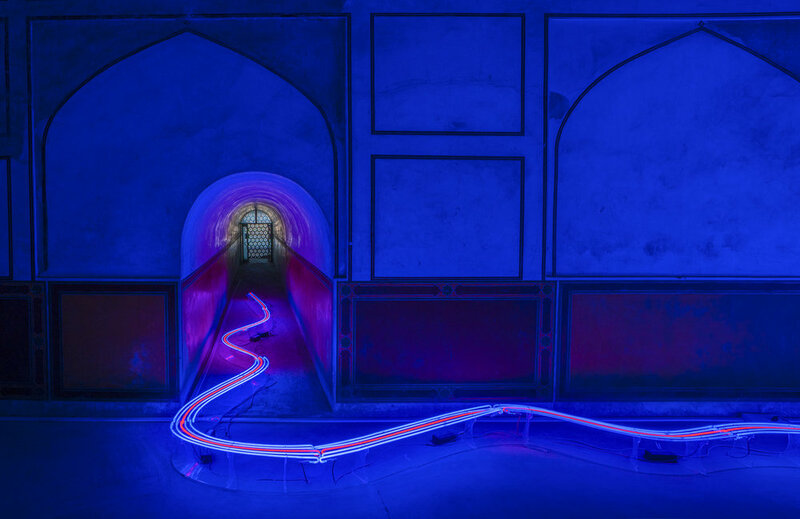 Roz o shab’s layout recalls labyrinthine structures in Mughal architecture (bhool bhulaiyan) and analogous fort and palace architectures in other sites. 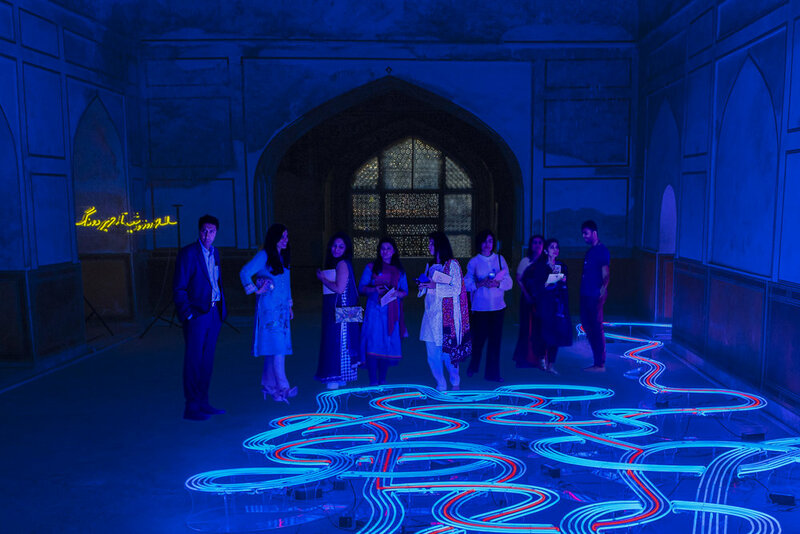 By situating a children’s puzzle with its knotted form in stark juxtaposition with the stateliness of Mughal architecture, Roz o shab evokes the temporal distance that separates the Mughal past from our contemporary present.